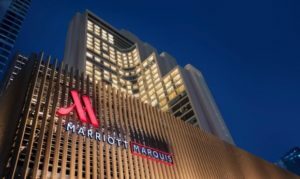 Marriott has opened the largest hotel in its Thai portfolio and its first Marquis-branded hotel in the Asia Pacific region. 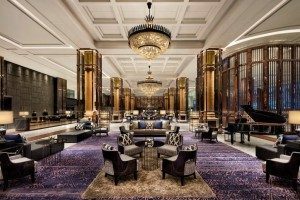 The new Bangkok Marriott Marquis Queen’s Park, which was previously known as the Imperial Queen’s Park, has relaunched in the centre of Bangkok following a multi-million-dollar renovation. With a total of 1,360 rooms and suites, it becomes the largest hotel in Bangkok. Located on Sukhumvit Soi 22, walking distance from Phrom Phong BTS skytrain, Bangkok Marriott Marquis Queen’s Park is set to become a major new address in the city, not only in terms of accommodation but also for events. 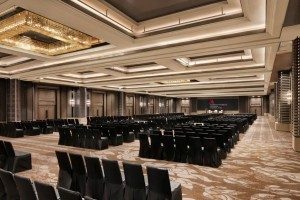 The property features more than 5,000m² of function space across more than 30 venues, including a 1,261m² grand ballroom that can accommodate 1,100 people. And Bob Fabiano, the new hotel’s experienced GM, said the function space would help Thailand achieve its MICE ambitions. Other facilities at this huge hotel include multiple F&B outlets, including Japanese, Chinese and Thai restaurants, plus a spa with 11 treatment rooms, a 24-hour fitness centre and two outdoor swimming pools, both of which feature large decks and pool bars. The opening follows a partnership between Marriott and TCC Land Asset World, the Thai real estate company, which will eventually see the two companies collaborate on seven hotels. 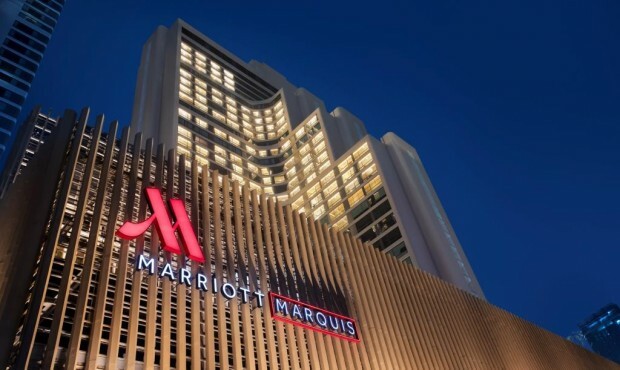 Bangkok Marriott Marquis Queen’s Park is the third to have opened, following the Hua Hin Marriott Resort & Spa and Phuket Marriott Resort & Spa, Nai Yang Beach. The Marquis label is reserved for Marriott hotels that occupancy prime city centre locations, have more than 1,000 rooms and exceed 5,000m² of conference and banqueting space.